On a cold December evening, herald William Harley, Clarenceux King of Arms is disturbed when an acquaintance of his, Henry Machyn, arrives late at night after curfew. With him he brings a chronicle that he has spent years compiling, but which also holds a deadly secret – one that could rock the very foundations of the throne and the Protestant Queen. As Machyn entrusts his chronicle to Clarenceux, the herald knows that he is not entirely happy with this arrangement. He knows that Machyn is running from desperate and evil men who will stop at nothing to gain and keep the Queen’s trust. And now Machyn has led those men straight to his door. As Clarenceux’s house is torn apart for the chronicle and members of his household beaten and killed, the herald detained by Walsingham himself, he is determined to find out the secret within the binding of Machyn’s chronicle. With the help of Machyn’s wife, Rebecca they will have to thwart the Queen’s army and Walsingham’s henchman, Crackenthorpe a ruthless and vile man. They will endure long arduous journeys in the driving rain and snow to uncover the secret that others will go to any lengths to hide and they will stare death in the face several times before finally gathering the pieces to reveal the truth of ‘The Chronicle’. Based on fact, historian Dr. Ian Mortimer, here using a pen name of James Forrester, has written an extremely exciting adventure in the Elizabethan era. As befits a historian, Forrester seems more than at home when describing the crowded narrow streets of London, the poor conditions of the roads and the vile sanitation of the River Thames. All through the book, you get a strong sense of the extreme cold people had to endure then and you are very glad that we have wonderful inventions nowadays like central heating. The poor folk of Britain must have been perpetually frozen during the winter months, giving rise to high mortality rates. The main topic that dominated Elizabeth’s reign, as well as Mary’s and their father, Henry, before them, was religion. This was the cause for much persecution, war, hatred, fear and double-dealing. Many a time was someone’s name given as a traitor or member of the opposite faith to the Monarch just to save their own skin. As Mary’s short reign was full of people being burnt at the stake for being Protestant, so Elizabeth’s was full of Catholics who plotted against their Protestant Queen. One shudders to think that Britain could have been so divided and such fear derive from something that should give people solace and hope. And so, it is these strands that dominate Sacred Treason. You can see Forrester has a passion for our heritage and you can literally taste the history on every page. Sacred Treason is very well written and Forrester gives his readers a great sense of place. The plot is well thought out and gripping and any fan of the new-improved Historical thriller will be reaching for this book as an extremely competent and highly entertaining read. I definitely look forward to reading the next book by this writer who knows how to entice his reader back to the 16th Century. I can’t classify my writing, no. I don’t think it is difficult or challenging, and it is not experimental in literary terms. But I can say is that it is powered by a personal relationship with the past, and so is inevitably driven by historical sympathy for our ancestors and thus an insatiable desire to understand the human character in all its many guises, forms and periods. Good as well as sinister. You are going to hate me for this: I read very little fiction. I work long hours, surrounded by books, and when I leave my desk I find it hard to immerse myself in yet another book. I find it very difficult now to read a book for pleasure, there simply is not enough free time to immerse myself in someone else’s story. But ideas enthral me, and rather than reading for pleasure I write for pleasure, and I love immersing myself in the possibilities and ideas that fiction allows. 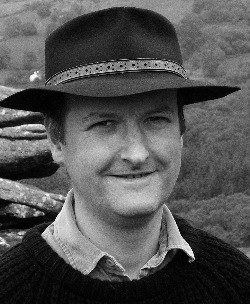 3) Your other ‘persona’ is Dr. Ian Mortimer with your best seller, ‘The Time Traveller’s Guide to Medieval England’. What made you decide to jump from biographies to historical crime fiction? One should never stand still, doing the same old thing. That way writing would be too much like work. I write historical biographies and academic history, historical fiction and songs. I love all these things. I can write what I like when I like. My next non-fiction book is more like true crime. It is a scholarly examination of how we can prove things about the distant past – how we can divide information from evidence and say things with certainty about such things as the fake death of King Edward II in 1327 and the blackmailing of his son by two popes in the years that followed, and the murders of Thomas, duke of Gloucester, in 1397 and Richard II in 1400. Suffice to say, if it appeals to me, I get on and write it – there’s no ‘decision’ as such to be made. 4) Your main protagonist is William Harley (Clarenceux), King of Arms. Could you briefly tell us what this title entails and William’s duties in this role? Why did you choose a character with this position to be your main ‘detective’? Heralds were (and still are) the official recorders of coats of arms that knights were entitled to wear. They also acted as official messengers to foreign courts in the sixteenth century, a sort of quasi-ambassadorial role. The choice to use this role was because the real Clarenceux King of Arms was the recipient of the real Henry Machyn’s chronicle in 1563, and that document in many ways inspired this story. 5) It is interesting how some of your characters and the plot of the ‘chronicle’ derived from real lives and events. 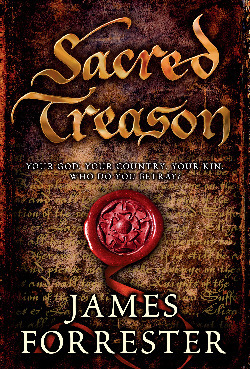 Without giving away the whole plot, could you tell us how you reached the plot of Sacred Treason through your research? Yes. One day in about 1998 I turned up to work (at the Royal Commission on Historical Manuscripts) to find a commission to write an article for the Oxford Dictionary of National Biography about the diarist-chronicler Henry Machyn. I set about finding all I could on him, and managed to find a copy of his will, by which he bequeathed his chronicle to Clarenceux. This had never been found by a historian before; so I set about further research and in the will of one of his friends I found a reference to a bequest to hold a dinner for ‘The Knights of the Round Table’. This also appeared in Machyn’s chronicle. As I knew a bit about the Elizabeth Society of Antiquaries and its political importance (which resulted in it being banned) I started to tell myself a story about the ‘Knights of the Round Table’ in which they were guardians of a Catholic secret. I thought about this for roughly ten years: the plot was almost fully formed in my head by the time I came to write the book. 6) Was it simpler or harder to weave your story around real facts that happened during the time period your novel is set? And after writing biographies, how easy (or hard) was it to turn your hand to crime fiction? Good question. Historians need facts – we are lost without them – and we need to be facts in which we can trust. Given this importance to rooting history in reality, inventing ‘facts’ is very difficult, and tends to destabilise a historian’s writing. Using real ‘facts’ (places, names, documents, etc) was helpful for the stability of the story telling. But at the same time it made it harder to invent elements of narrative because of my historical training – to stick to reality. Also, inventing character is difficult for a historian. Historical biographers allow character to flow from the evidence; we tend not to be able to invent characters out of thin air. Indeed, we are trained not to. I think the hardest thing for a historian to do is to portray the simultaneous character development of six or seven main individuals. That requires the sorts of skills that historians normally don’t have. In all this I had one great advantage. I originally had spent several years studying and writing poetry. So I was able to set aside the historian part of myself and draw on the poetic. In fact there’s a great line by Ted Hughes that sums up the process – ‘avoiding the inner policeman’. Writing fiction I was constantly dodging the ‘inner policeman’ of my historical training. I thoroughly enjoyed it. 7) Is this a promised series and if so, what can we expect from the major players in future novels? Will you keep to the Elizabethan era? There is a sequel in the pipeline and I won’t rule out there being a final third volume. I also have in mind a murder mystery set in James I’s reign. But my burning ambition with regard to historical fiction is to expand the genre by doing things that history-fiction writers have never done before, covering huge sweeps of time. I’m keeping these a secret for the moment, though. 8) Many authors draw on their personal experiences to give depth and insight into the characters and their feelings hopes and desires. Is this something you have conscientiously done or avoided doing, preferring rather to use your imagination? I can’t answer this one. Writing history and fiction, book reviews, articles and songs, and being a Secretary of State appointed member of Dartmoor National Park Authority, and having a young family – I don’t have time to drive to the city to see films. It takes me away from my writing for too many hours. I have only seen one film in the last year (‘Gainsbourg: vie heroique’ – Serge Gainsbourg is one of my musical heroes). I don’t watch television either. I’d have to draw on dead or aged actors – with the exception of the remarkable Johnny Depp. I’d want him to play Clarenceux because (a) he has the intellectual depth; (b) he is so versatile; (c) I’d like to meet him; and (d) everyone would flock to the cinema to see him in my story. I will suggest one other name: Richard Crackenthorpe should be played by a latter-day Gian Maria Volonté – the brilliant Italian revolutionary communist actor who was the baddie in Sergio Leone’s early sixties films ‘A Fistful of Dollars’ and ‘For a Few Dollars More’. I had Volonté in mind when I dreamed up the character of Crackenthorpe. ‘Sleuth’ by Anthony Shaffer. Originally a play – so I guess it counts – but I have to confess I first encountered it in the Michael Caine/Laurence Olivier film. I just didn’t see that twist coming. It blew me away! ‘Once Upon a Time in America’ directed by Sergio Leone, adapted from ‘The Hoods’ by Harry Grey. Lack of time means I simply don’t have sufficient knowledge of the genre as a whole to describe myself as a fan. I spend my time writing, not reading. My wife is a big, big fan of crime fiction and knows far more than I do. In fact I’ve learnt most of what I know from talking to her. 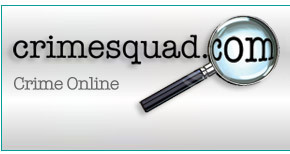 13) What is your favourite read crime of all time? If you will allow me to include thrillers, the early Bond novels by Ian Fleming, especially the first one, Casino Royale.